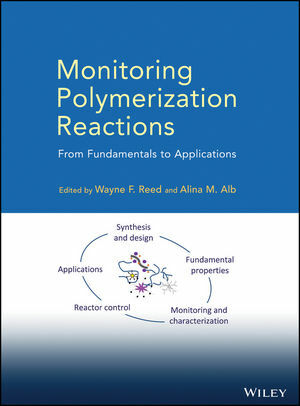 With contributions from leading macromolecular scientists and engineers, this book provides a practical guide to polymerization monitoring. It enables laboratory researchers to optimize polymer reactions by providing them with a better understanding of the underlying reaction kinetics and mechanisms. Moreover, it opens the door to improved industrial-scale reactions, including enhanced product quality and reduced harmful emissions. Throughout the book, the authors provide step-by-step strategies for implementation. In addition, ample use of case studies helps readers understand the benefits of various monitoring strategies and approaches, enabling them to choose the best one to match their needs. As new stimuli-responsive and "intelligent" polymers continue to be developed, the ability to monitor reactions will become increasingly important. With this book as their guide, polymer scientists and engineers can take full advantage of the latest monitoring strategies to optimize reactions in both the lab and the manufacturing plant. WAYNE F. REED is Professor of Physics and Founding Director of the Tulane Center for Polymer Reaction Monitoring and Characterization. Dr. Reed has authored more than 100 scientific articles and holds several patents in the area of polymer reaction monitoring and characterization. ALINA M. ALB is Research Assistant Professor of Physics and Associate Director for Research at the Tulane Center for Polymer Reaction Monitoring and Characterization. Dr. Alb, author of numerous scientific articles and co-inventor of new instrumentation, has developed original methods to follow online synthesis of novel materials.